Kate Bevan is the Cataloguing Team Leader for the Historic England Archive Team in Swindon and is also leading the development of the Your Home’s History section of our website. In 2009 I bought my first house. 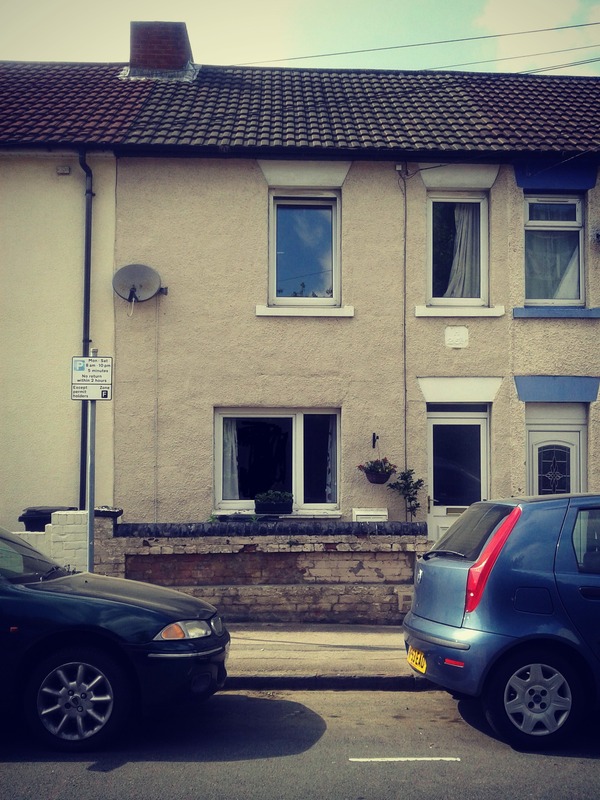 Having lived in Swindon for a couple of years, I knew the town fairly well, and opted for a small terraced house near the centre, in need of considerable redecoration. Any free time over the next few years was spent on painting and DIY, but once that was finished I decided I’d like to know a bit more about the history of the house, when it was built and who had lived there before me. I already knew a little bit about the history of Swindon. It had been a small, fairly insignificant town with a population of less than 3000 until the mid 19th century, when the decision was made to base the new Great Western Railway works there. As a result of this, the town expanded rapidly in the second half of the 19th century, and thousands of identical small terraced houses were built in a relatively short space of time. Mine was one of these, built to house railway workers and their families. The survey which had been done on my house before I bought it gave a suggested construction date of 1900. I started my research by looking at old Ordnance Survey maps of the town, to try and work out whether this date was right. The first edition of the 1:2500 Ordnance Survey map, which was made before 1893, shows that some of the houses on my street, including mine, had already been built. However, building work had yet to start on some of the surrounding streets, which are still shown as fields on the map. 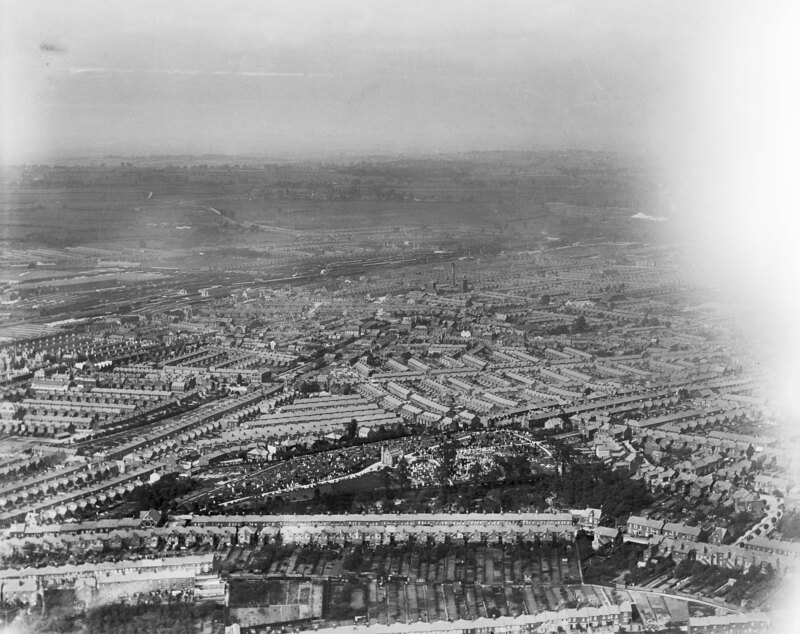 By the next edition of the Ordnance Survey, carried out from 1891-1921, many more houses and streets in the surrounding neighbourhood had been built, although the street adjoining mine was still in use as allotments. Looking at the maps had given me a good overview of how quickly the neighbourhood had changed from rural fields to rows of terraced houses. I’d also found that the surveyor’s date of 1900 was in fact several years too late – my house had certainly been built before 1890. I decided to see whether I could pinpoint the exact date of building. A bit of digging around in paperwork produced by the solicitors when I bought the house unearthed the title deeds. These showed that in 1877 a large plot of land was sold by James Hinton to William Langford. The deeds outline the building restrictions for the plot, and also specify that no ‘tavern, beerhouse or refreshment house’ could be built on the site. This narrowed down the date of the house considerably – I now knew it must have been built between 1877 and 1890. At this point I decided it was time to make my first visit to the local record office. For my house in Swindon, this meant a trip to the Wiltshire and Swindon History Centre in Chippenham. I began my research here by looking at the New Swindon Board Minutes. These were the minutes of the local council, which luckily had an index so could be searched by street very easily. In the second register I looked at, I found an entry for my street on 5th May 1881, in which a proposal was made to change the name of the street from Redcross Street to Radnor Street. The proposal was passed, and the street has been known as Radnor Street ever since. The minutes didn’t give a reason for the change, but it certainly explains why the flats at the top of the road are called Redcross Place! 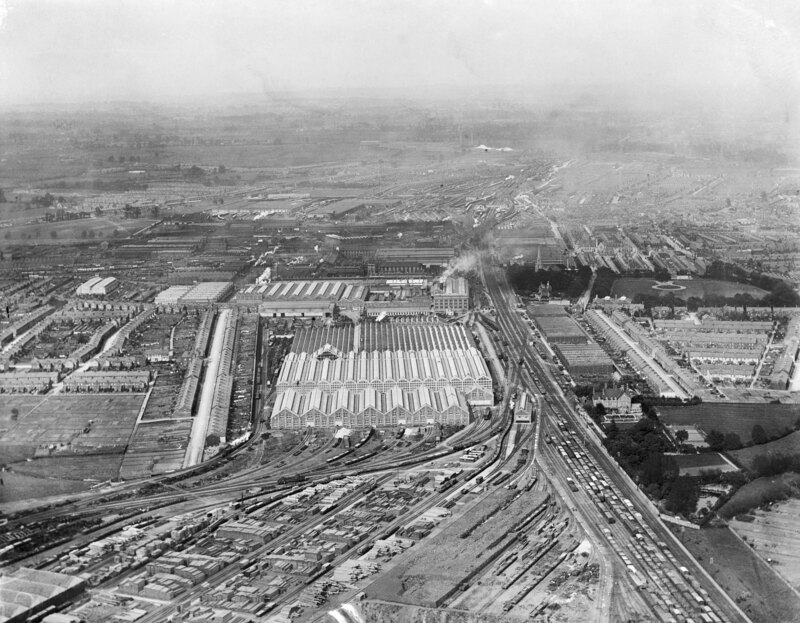 So far I felt that my research had led to some interesting new discoveries about my house – I’d managed to narrow down the date of construction, and found out a bit more about the local area and how quickly it had grown after the railway came to Swindon. My next steps would be to look at the design of the house in order to find out how people lived when it was originally built, and to research the previous owners. I was particularly interested to discover who moved in when the house was first built! Interesting, this has set me thinking, as I live in part of a converted chapel which dates from the Napoleonic war. when Barracks formed a large part of Woodbridge in Suffolk. The chapel was converted to three cottages c1886. I live in central Salisbury in a house dated around 1480. Title Deeds go back to 1849 but this leaves much uncovered history. Where do I go from here? Your local Record Office may have information on your house, our house was built circa 1650 and I found information from the tithe maps and the manorial records. Also look in the 1841-1911 census for previous occupants, the 1910 Lloyd George survey for details of the house at that time. There are many records will help you discover your house’s history – just go to your local archives and your local history library. Good hunting. Trying to find the date of my house and not having a wall in the attic separating us from next door! I searched building g regulation history under the history of fire safety and in 1850 it became law ( through Scotland directive) that all new buildings must have an attic wall passing past the roof and fire resistant materials if possible use. Photo’s and houses I see bear this out, I also have a floorboard inner wall next to the stairs that goes from top to bottom of the house, your article most interesting and informative thanks! Ipswich is unexpectedly hilly and The flat I live in is one of six flats that were created in 1983 from a house that I have been told and the little evidence I have found indicates that it was built about 1840. A high brick wall is built around two sides of this corner plot, holding back some 1-2 metres of soil. The wall appears to have been constructed at the same time as the house. The wall is badly cracked in places with a significant bow in one part of it and we think it might create a risk before long. All the ‘weep holes’ designed to drain the supported soil are blockedThe wall abutts the footpath so will be complex to either rebuild or repair. We have received many different quotes from £1,100 to 15,000. Only one has suggested a repair method: encasing the wall in mesh with metal fixings tying it into an apparent stable brick pier at one end and the house at the other. Of course if this method was used there would be no opportunity to investigate the integrity of the footings. My view is that if constructed in 1840 it is unlikely that the footings are going to be strong enough to support this suggested method of repair. I fear others will, in ignorance, vote in favour of the repair due to the lower cost. Can anyone help with real information?